United Airlines CEO Oscar Munoz and his counterparts at other airlines got an earful from a room full of angry frequent fliers on Tuesday - members of Congress. NBC 5's Charlie Wojciechowski reports. The chief executive of United Airlines apologized Tuesday on Capitol Hill for an incident in which a passenger was dragged off a flight, calling it "a mistake of epic proportions" as frustrated lawmakers warned airline executives to improve customer service or face congressional intervention. House Transportation Committee Chairman Bill Shuster, R-Pa., said carriers should use the notoriety of the violent event — and a separate incident in which a mother with a stroller was bullied by a flight attendant — to make long-needed improvements. If the airlines don't make changes, Congress is likely to step in, Shuster and other lawmakers said. "Seize this opportunity," Shuster told United CEO Oscar Munoz and other airline executives at a hearing. Otherwise, "we're going to act and you're not going to like it," he said, predicting a "one-size-fits-all" solution that may serve some airlines but not others. 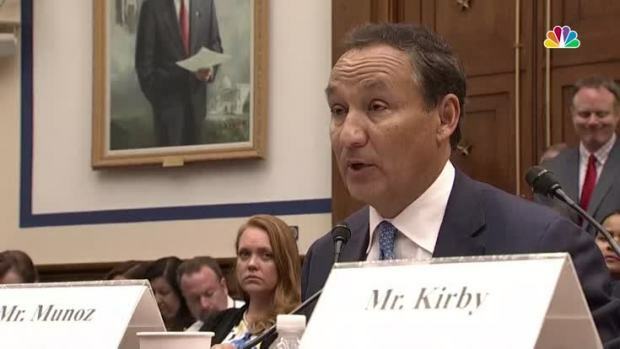 United Airlines CEO Oscar Munoz testified before the House Transportation Committee on Tuesday to outline steps the airline was taking to improve customer service after widespread outrage followed footage of a United customer being violently ejected from a flight. Committee chairman Bill Shuster, R-Pa., threatened Congressional intervention if the issues are not resolved. 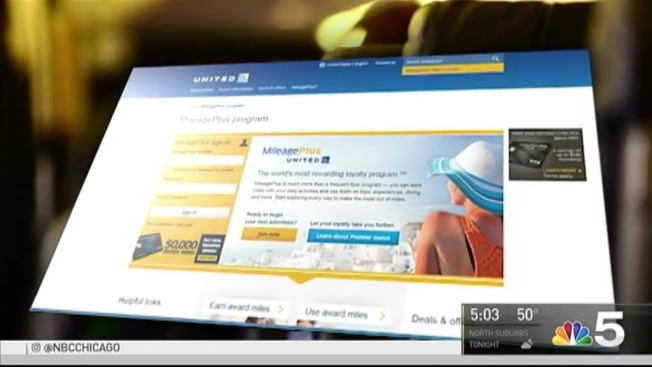 Shuster provided no specifics on what steps Congress would take to fix airline service. But several members of Congress have introduced legislation to ban the bumping of passengers if flights are overbooked. Munoz repeatedly apologized for the April 9 incident in which passenger David Dao was smashed in the face — suffering a broken nose, concussion and other injuries — as he was removed from a flight where he was already seated. Munoz vowed to do better as he and other airline executives faced tough questions from lawmakers. "It was a mistake of epic proportions, clearly, in hindsight," Munoz told the transportation panel at the 4 1/2-hour hearing. Dao, a 69-year-old Kentucky physician, was treated in a way that no customer — or individual — should be treated, Munoz said, calling it a "terrible experience" that should never be repeated. But lawmakers said problems with air travel are commonplace. Some airline don't charge baggage fees, while some do, said Rep. Michael Capuano, D-Mass. Lines are long, planes are delayed yet prices keep going up, he said. "We've got to fly. You got us," Capuano said. "If you want to keep treating us this way, fine ... but there will come a day when Congress won't accept it anymore on behalf of the American people." Rep. John Katko, R-N.Y., said he's 6-foot-3 (191 centimeters) and has a hard time on planes. He can't sit up straight, and his legs stick out. United has taken a series of steps to reduce overbooking of flights since the incident and will raise to $10,000 the limit on payments to customers who give up seats on oversold flights, Munoz said. The airline also said it will improve employee training. 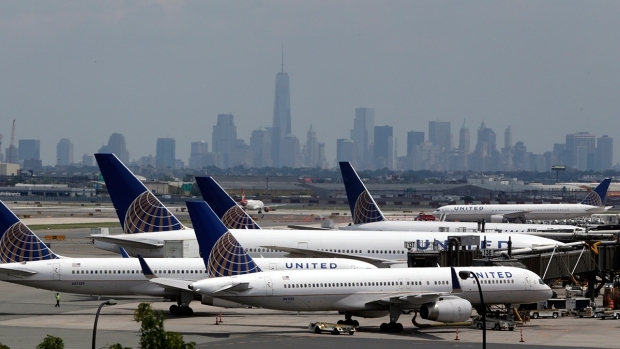 "This is a turning point for United, and our 87,000 professionals," a contrite Munoz said. "It is my mission to ensure we make the changes needed to provide our customers with the highest level of service and the deepest sense of respect." The congressional hearing comes amid worldwide outrage sparked when Dao was dragged off the flight after refusing to give up his seat to a crew member. The incident ignited a debate about poor service and a lack of customer friendly policies on U.S. airlines. Rep. Rick Larsen, D-Wash., said United put its own needs ahead of customers as it forced Dao off the flight to accommodate a crew member who wanted to take the trip to work another flight the next day. "You made your problem the customer's problem," Larsen told the executive. Munoz said he agreed and United has changed its policies so passengers will never be removed from a flight once they are seated unless there is a security or safety issue. An American Airlines executive also apologized at the hearing for an incident in which a male flight attendant upset a female passenger to the point of tears, then got into a heated confrontation with a male passenger who tried to come to the woman's defense. 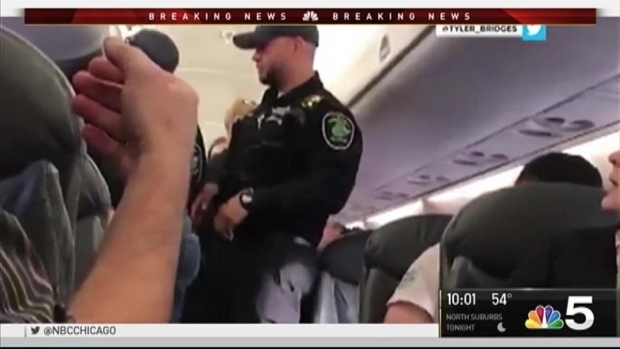 Kerry Philipovitch, a senior vice president of American, said the April 21 incident on a flight from San Francisco to Dallas was handled improperly. Video of the incident, like the one involving Dao, has circulated widely on social media. 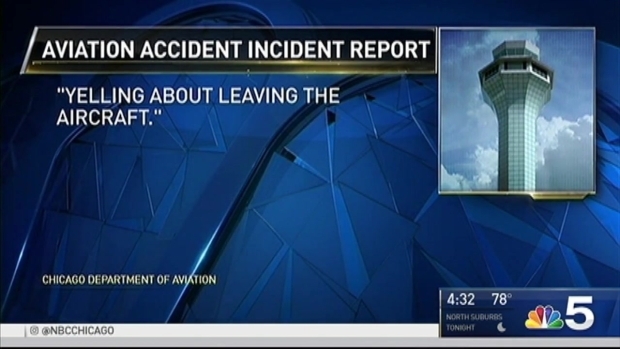 "Clearly what happened was wrong," Philipovitch said, adding that airline employees "should have helped" the passenger handle the extra-wide stroller and put it away safely. American takes responsibility for incident and is making progress to improve customer service, she said. Rep. Elizabeth Esty, D-Conn., called changes announced by United and American a good start, but said, "It's got to be more than press releases. It's got to be changes in policies and practices." Most lawmakers agreed, although Rep. Todd Rokita, R-Ind., said Dao bears some responsibility for ignoring orders from law enforcement officers before being dragged off the plane.